Early issues: Developmental delays are common among Indian children under 10. About 1 in 100 children in India under age 10 has autism, and nearly 1 in 8 has at least one neurodevelopmental condition. The estimates are based on the first rigorous study of its kind in the country. The estimate for neurodevelopmental conditions is about 10 times higher than the 1.3 percent reported in India’s 2011 census. Arora and his colleagues fanned out to five regions of India that differ economically and culturally, and went door to door to recruit children for evaluation. They recruited 20 children from each of 25 or 50 villages and municipal wards in each region. Altogether, they assessed 2,057 children aged 2 through 5 years and 1,907 children aged 6 through 9. 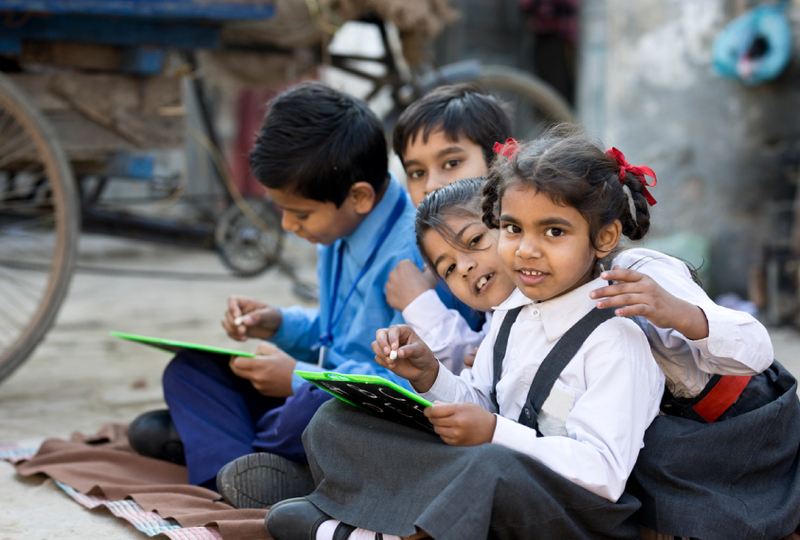 “This is the first ever community-based assessment of prevalence of neurodevelopmental disorders in children in India, and probably in the whole of the developing world,” says Arora. The most common conditions the team identified are hearing impairments and intellectual disability. Nearly one in five children who has one neurodevelopmental condition also has a second condition. The breadth of the communities covered and the direct assessment of the children makes the work especially powerful, says Mayada Elsabbagh, an assistant professor of psychiatry at McGill University in Montreal, who was not involved in the work. Arora and his colleagues had the children assessed at nearby hospitals for vision and hearing problems, epilepsy, neuromotor conditions such as cerebral palsy, speech problems, autism and intellectual disability. Children aged 6 through 9 were also tested for attention deficit hyperactivity disorder and learning disorders. The team diagnosed 44 children with autism, using a free test called the INDT-ASD they had developed for use in low-resource countries. The overall prevalence of neurological conditions varies by region: For instance, it is strikingly low in a tribal area called Dhenkanal. Autism rates vary between 0.4 percent in North Goa, a largely urban coastal region, to 1.8 percent in Palwal, a rural area in north-central India. The work appeared 24 July in PLOS Medicine. The overall prevalence estimate for autism is about four times that from a 2017 study of more than 11,000 schoolchildren in one city in India. The higher number may result from the breadth of the sample: Arora’s team recruited from the population at large, so the sample may include children who don’t go to school, says Bhismadev Chakrabarti, professor of neuroscience at the University of Reading in the United Kingdom, who led the 2017 study. That study used the Autism Diagnostic Observation Schedule (ADOS) — a diagnostic test that’s standard in the United States and Europe — instead of the INDT, which makes it difficult to compare the results, Chakrabarti says. Regardless, the new figures are likely to be conservative. About one in six families with children declined to participate, perhaps because of stigma associated with the conditions, Arora says. What’s more, a smaller proportion of children in the study have developmental delays caused by poor nutrition than the national average, likely because the sample is not representative of the whole population. The study identified risk factors for developmental problems, such as home birth, serious childhood illnesses and low birth weight, that the government can address. With a bigger study, Elsabbagh says, researchers might be able to determine which of these risk factors are most relevant to autism.